A significant new solo exhibition by Dyani White Hawk, this second project presented in the new museum of art at the University of Nevada, Reno is an aesthetic spectacular. Created especially for this project, the stunning new works in this exhibition include large-scale abstract paintings and midsize mixed-media works. 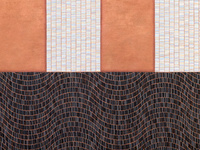 The works interrogate and build upon the trajectories of modern abstract painting and Native American artistic practice, specifically Lakota art forms, in a way that leads the viewer to think about one of the most underrepresented bodies of people in the United States—its indigenous population. The exhibition brings the important contributions of Native art forms and aesthetics to the foreground, prompting the viewer to think about processes, materials, colors, and aesthetics of Native arts and it names Native cultural practices as integrated, unique traditions with their value. Download the world's famous mobile game Mobile Legends.